In the year and a half since the initial introduction of Citadels, advancement of both new and existing Upwell structures has been a huge part of EVE Online’s ongoing development. Upwell technology has been advancing through the addition of new features to existing structures (such as industry, repair, and contracts) and new specialized structures in the form of Engineering Complexes and Refineries. Over this time, CCP has also been looking for the ways in which the basic structure mechanics introduced with Citadels could use a rework. Many aspects of these mechanics have worked out well in practice over the last year, but it has become clear that other aspects need to be changed for these structures to best serve the EVE community. This upcoming release is intended to address several issues with the fundamental Upwell structure game systems in one combined package that is called “Upwell Structures 2.0”. It will be an extremely significant set of changes to most aspects of interacting with these structures. CCP first announced the plans for this package of changes at EVE Vegas 2017, and the basics of what was discussed with players in Vegas still apply. At that time, the Upwell 2.0 release was planned for sometime in Q1 2018, and these changes will be a part of the February release, which is scheduled for February 13th 2018. As discussed at EVE Vegas, CCP moved the priority of these changes up above that of the faction citadels and outpost replacement plan thanks to player feedback. They still intend to complete the plans for faction citadels and outpost replacement, however that release is currently planned for a bit later in the year to make room for the Upwell 2.0 development process to take priority. “Low power” structures can be identified through a label on their text bracket beside the structure name. From observations made, research, and community feedback over the past year, the vulnerability and reinforcement system used by Upwell structures since the Citadel expansion have been too unbalanced in favour of the defender. With this in mind, Upwell structures 2.0 includes a complete re-imagining of vulnerability and reinforcement for these structures. Just as in the previous system, all structure’s service modules will go offline while the structure is in this final reinforcement period. These new Standup fighters will continue to not require any capsuleer skills to operate, and therefore will not benefit from those skills. However, their powerful base stats more than make up for the lack of skill bonuses. They enjoy massive bonuses to dps, hitpoints, speed, and sensor strength that make them powerful forces on the battlefield. Fighters provide an element of positional and movement gameplay that is otherwise unavailable to structure gunners, which is why structure fighters are being upgraded into a state where they will become a major part of these battles. The structure combat overhaul will also include a major rework to structure combat modules. The fitting gameplay options and choices available to structure owners has been lacking compared to ship fitting gameplay and CCP intends to start closing the gap with the Upwell 2.0 release. To go along with these new fitting options, CCP will also be adjusting the balance around structure fitting stats and module stats to bring more interesting gameplay to structure fitting. Expect CPU and Powergrid decisions to matter much more after this release, especially if you wish to take advantage of the new T2 modules. Structure tackle modules will also be receiving major updates with this release. These powerful modules can often become oppressive with their ability to keep single targets tackled and webbed indefinitely. It is especially important to address these modules now since the addition of 24/7 shield vulnerability means structures will be able to activate their tackle modules at all times. To solve these issues, it is planned to add a reactivation delay to the Standup warp scrambler and Standup stasis webifier modules that prevents them from being cycled constantly without breaks. The current plan is for them to activate for 30 seconds, and then need to wait one minute before activating again. Combined with these changes they would also be limited to a maximum of one copy each fitted to a structure. The intent would be for these modules to be used strategically to grab tackle long enough for an allied ship to get their own point, or in conjunction with the new AoE webs and bubbles. After some productive discussions with the CSM at CCP's recent summit meeting, the locking range of Upwell structures will be significantly increased to better enable them to engage with targets at extreme ranges. Base lock range of Upwell Structures is planned to increase to 400km, with the ability to increase it further to a cap of 490km through the existing targeting speed rigs and modules which will be expanded to also provide targeting range bonuses in addition to their current benefits. CCP is currently investigating adding asset safety costs to the killmails for structures so that attackers would be able to clearly see how much damage they inflicted. This will not be ready in time for Upwell 2.0 and is not guaranteed at this time, but hopefully that will be possible in the future. Another issue that the CSM raised at one of the recent summit meetings was the removal of structure rigs before destruction to deny satisfaction to the attackers. To solve this issue, destruction of fitted rigs will no longer be possible while a structure is damaged. Rigs will essentially follow the same rules as modules. Most of these changes and new features will be showing up on the test server in the near future for the community to try out and see. There will be specific feedback threads with numbers for many of the balance changes such as the new modules and fighters, so keep an eye out on the official forums for those to appear in the coming days. All interested players are encouraged to hop onto the Singularity public testing server and try these changes out for themselves. One important task to complete before the February 13th patch day is to pre-set the reinforcement hour and day for your active structures. This can be done through the structure browser in the same place where current vulnerability schedules can be changed. 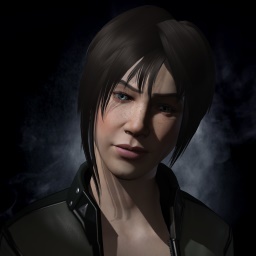 CCP will be releasing news reports as reminders between now and the Upwell 2.0 patch to ensure that everyone has a chance to prepare.